The relationship between dance and visual artwork has not been explored at great length in the past century. Many see dance as dragging behind artist and writers in any period. This was especially evident at the beginning of the 20th century where new forms in thinking emerged and where form and content melded into a movement known to be Modernism. Shared ideas between artists and dancers has influenced Modernist Artists. By definition you can see how these to genres can be married to each other and how both are designed to be “Arts”. 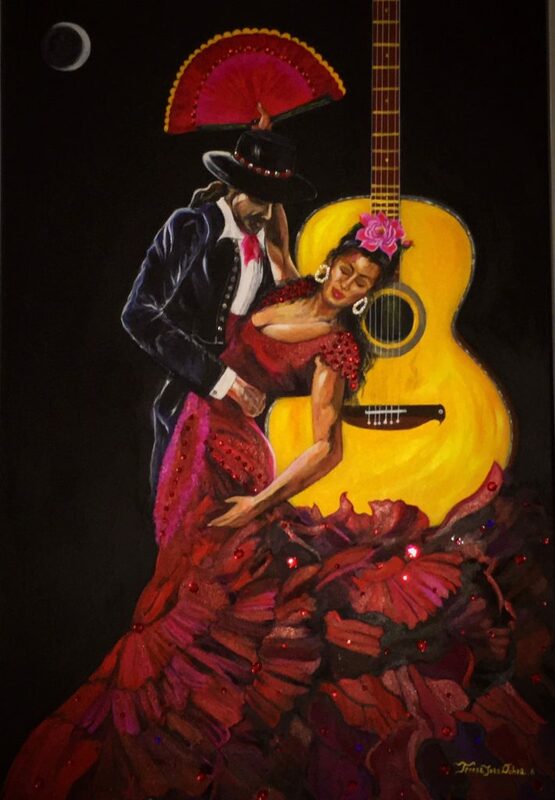 Artists of all genres have connected with dancing as a whole, with abstract or near abstract visions or concepts of shape, light, color and structure. Photography, canvas and sculpture have embraced dance as a content of choice. Ballerinas, tango, exotic dancers, plants, flowers and even animals perform dance in the wild, which all have been focal points for many artists through the years. From galleries to retail stores across the global, include these types of projects for sale exclusively or mass produced. The bottom line is the public has a love relationship for the synergy of dance and art combined. It represents relationships and memories of current or past love. The correlation of emotion and vision compels art aficionados to purchase these types of projects from artists they have a love connection with.